A Treasure Trove (TT/106/16) collection of medieval and later artefacts discovered by metal detecting at Pulrossie, Highland (NGR NH719886). The 8 artefacts include a medieval harness pendant and spindle whorls and a range of local and 'traditional' post-medieval items such as highland brooches and mainstream European buckles. Also included is a 17th-18th century copper alloy Jew’s harp, a good example of the type of mass produced consumer objects increasingly imported and traded into highland Scotland. 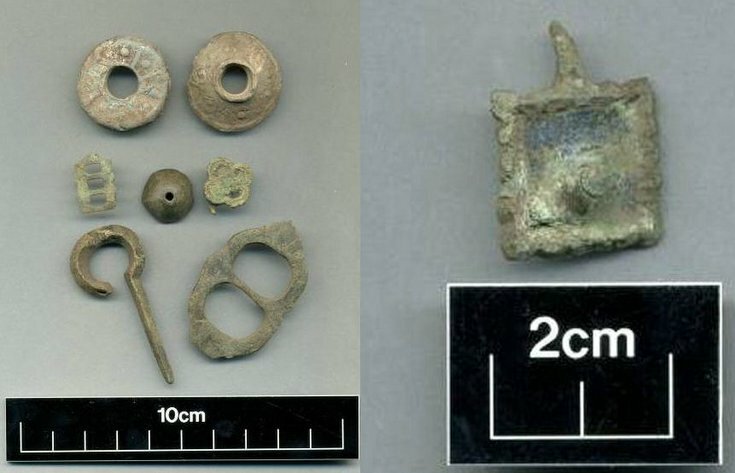 These finds compares well also to those found around the fringes of burghs, even though the findspot is some distance away and suggest that such goods made their way into the hinterland of main settlement as well.